It can be overwhelming to know what crystals, symbols, scents, and other tools to rely on for different purposes. Here’s a quick guide for a variety of situations you may be seeking support for or, perhaps, you have a friend who needs support in a specific arena? 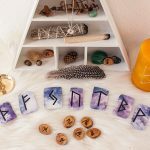 I’ve included a variety of symbols, crystals, and items from our shop that coordinate with each category for easy shopping for yourself or a loved one! Who doesn’t want to be happier? 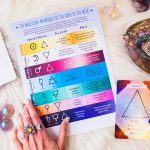 Scroll through the tools below for symbols, crystals, scents, and herbs that can help you cultivate more happiness in your life. Wunjo Rune is the rune of joy, pleasure, and harmony. 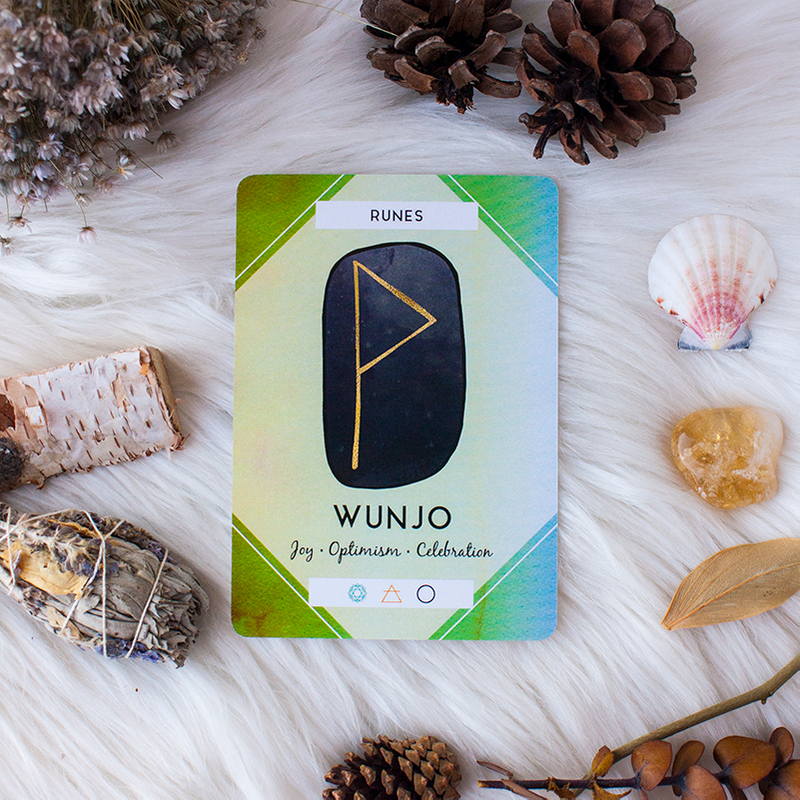 Shop The Ritual Deck here to get your Wunjo Rune oracle card, a great reminder of joy to place on your altar or carry with you throughout the day. Citrine, a crystal of happiness, emits positive energy and can help you stay positive, attract your desires, and be more present in your life. That’s where the joy really comes from after all, right? Shop our citrine stacker ring here. Brahmi, an ancient Ayurvedic herb, can help promote feelings of well-being. Try burning it in the morning as you do a gratitude meditation! There are so many reasons grounding and protection is important. 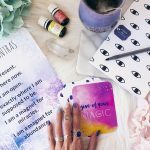 For those of us who do energy work, psychic work, and divination, grounding can help us bring our energy back into our body, back into the lower chakras. Protection can help protect you from absorbing the energy of others, either in spiritual work or just in general as you go about your life (especially for anyone who lives in the city!). Regardless of your work with magick, grounding and protection help bring you back into your body, feeling safe, supported, and cared for. Get more tips for psychic protection here. 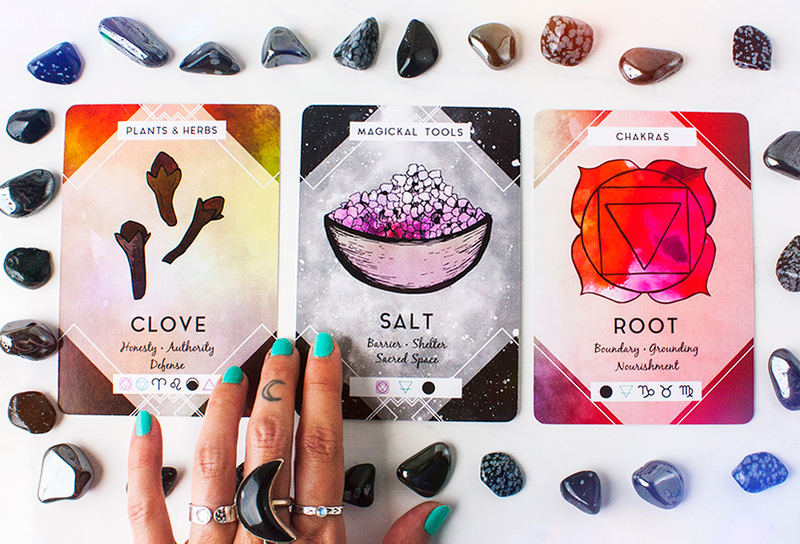 The Ritual Deck includes representations of each of these symbols, which can act as energetic stand-ins in ritual or on your altar. Use snowflake obsidian, a stone of cleansing negative energy and releasing blockages, or smoky quartz, the ultimate stone for grounding and balancing. Shop the snowflake obsidian crescent moon necklace, which I personally wear to protect myself whenever I read tarot for others or give reiki. Clove is your go-to for protection. Sage will help you ground, bringing you deeply into the present moment. 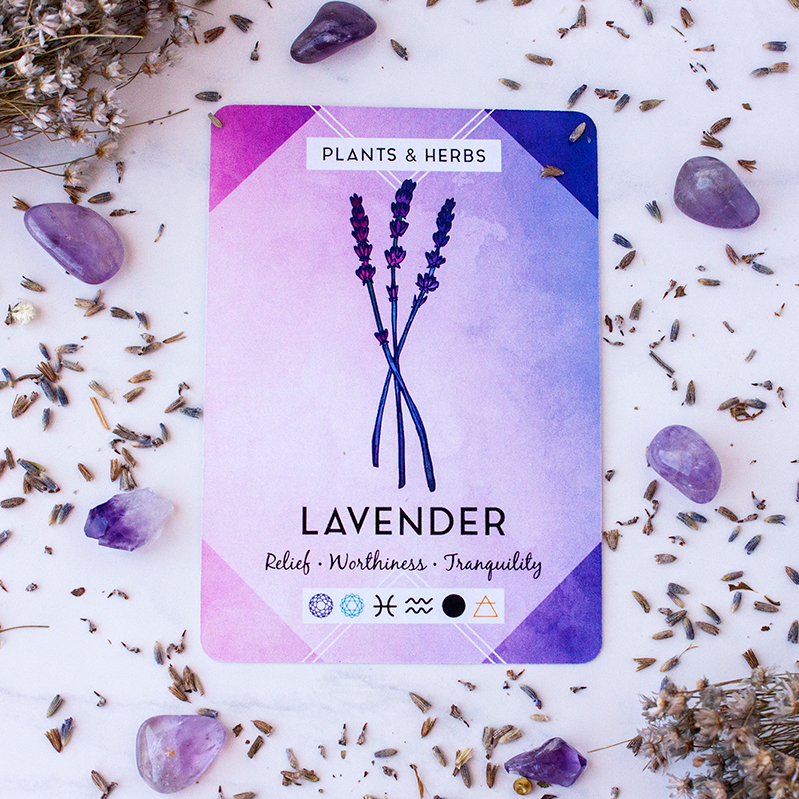 Check out representations of these herbs in The Ritual Deck! Many of us struggle with anxiety in the modern world. It’s so easy to get caught up in what has happened and what might happen or could happen. 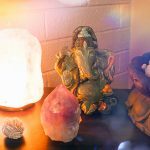 The tools below help you relieve anxiety and connect with a sense of inner peace. Blue is a soothing color that can help restore tranquility and peace. Try lighting a blue candle or working with the blue candle card in The Ritual Deck. The crystal kingdom has an abundance of stones to help soothe your anxiety and restore your inner peace. We love blue lace agate for its calming vibrations, labradorite to keep you from absorbing too much of other people’s energy, and howlite to help relieve stress and get better sleep. 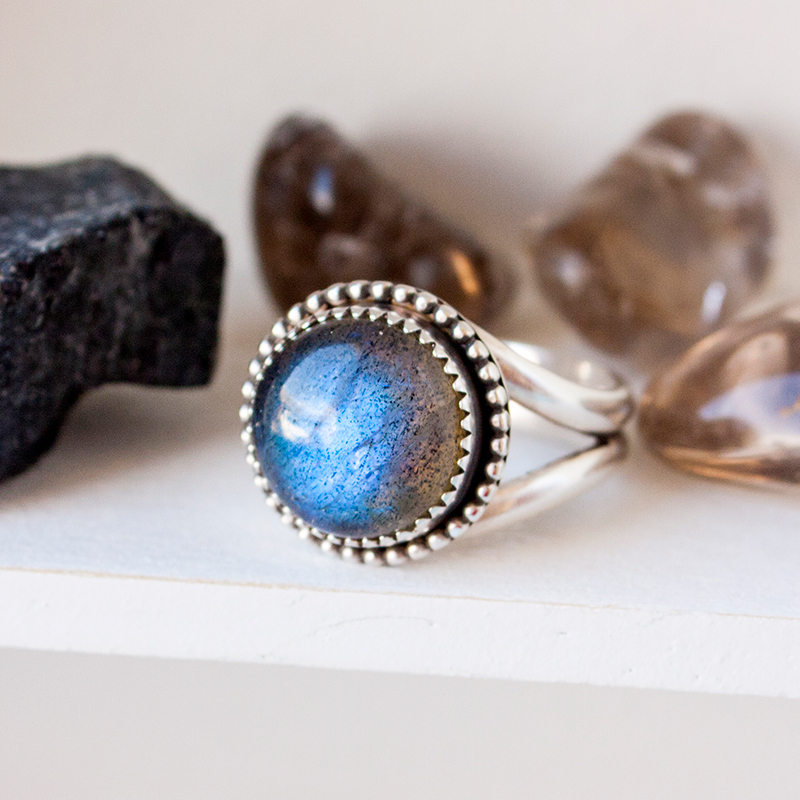 In fact, we even have a one-of-a-kind labradorite ring called The Anxiety Tamer! Shop The Anxiety Tamer and other labradorite rings here. Lavender can be used as aromatherapy to soothe mild anxiety, and chamomile has long been used to reduce stress and anxiety. Who doesn’t want to call in more abundance and wealth? 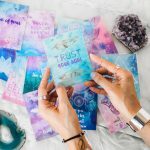 The tools below will help you connect with the abundance you desire to manifest it in your physical reality. The color green is associated with abundance, wealth, good fortune, and success. Light a green candle on your altar or work with the green candle card in The Ritual Deck. Fehu Rune is your Rune for bringing abundance of all kinds into your life, whether it be financial or other. Fehu can also be used as a useful tool to tap into the abundance already surrounding you. If you’re having a difficult time tapping into gratitude for all of the gifts you already have Fehu can help fill your heart with gratitude for all of the abundance you already have. Check out a ritual to work with Fehu in this blog and shop custom rune necklaces here. Citrine is also known as the success stone. It’s associated with the solar plexus chakra and can be a powerful aid in manifesting wealth and abundance. Shop the citrine stacker ring here. 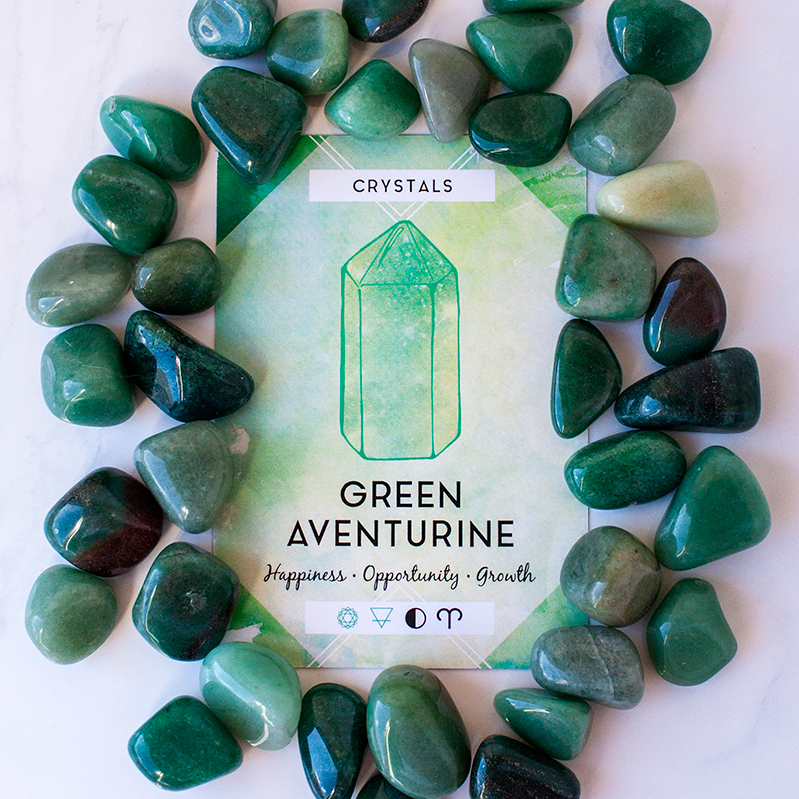 Green aventurine is another stone well-known for attracting abundance, success, and luck. It’s also associated with the heart chakra, helping you to open to receive the abundance that is on its way to you. Create your own custom green aventurine crystal point necklace here. Cinnamon has its roots in many cultures as a powerful plant for attracting abundance as well as success and healing. Try adding it to your coffee, blending it in your smoothie, and sprinkling it over a banana or your favorite dessert! Turn to these tools when your heart chakra needs some healing. 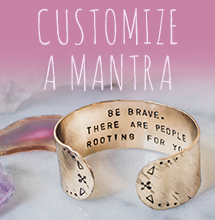 They’ll help you cultivate unconditional love and compassion for yourself and others. 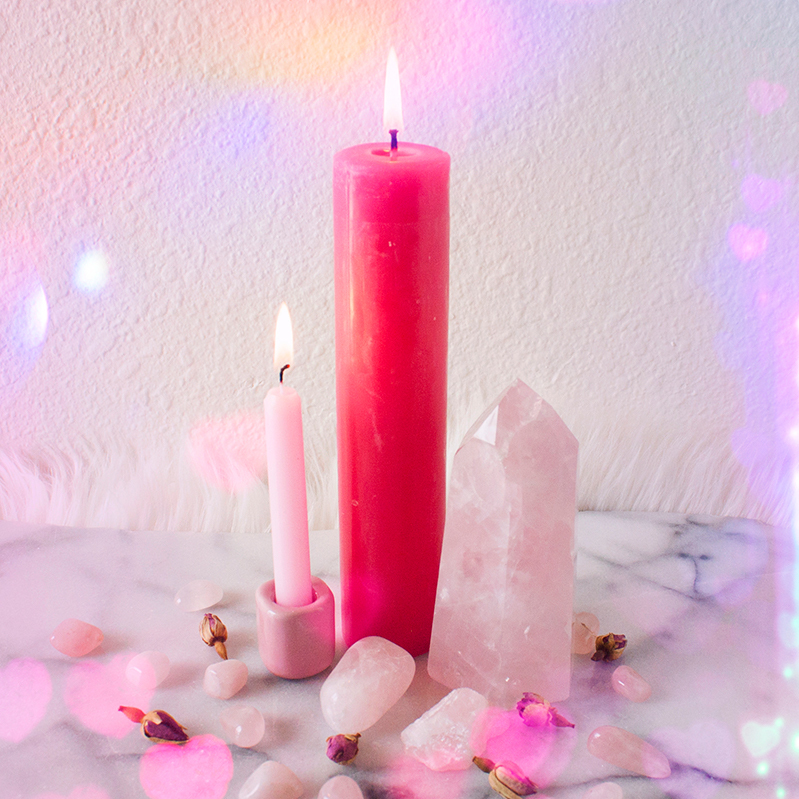 Use a pink candle when you’re working with self-love and compassion, or a red candle when you’re working with passionate love involving someone else. Shop representations of these candles with The Ritual Deck. Rose quartz is your crystal ally for unconditional love and compassion. It’s a gentle healing for your heart chakra, a space where we can store so much fear and doubt. 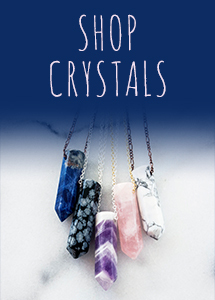 Create your own custom rose quartz crystal point necklace here. Carnelian is another beautiful stone of love, as well as faith and devotion. Use carnelian when you want to devote yourself to a healing practice or when you need to deepen your faith and trust in yourself. There are many scents and herbs that help promote love and compassion! Try hawthorn, rose petals, lotus petals, or motherwort. Mixing a few herbs together into a tea or a bath can be lovely. Sometimes, we’re not able to protect ourselves from negative energy. Life is life, and negative energy is sometimes inevitable. 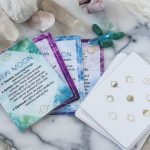 Use the tools below to cleanse yourself and your space of negative energy, especially after a difficult conversation, a break-up, or a stressful day. Salt is an amazing natural tool to absorb negative energy. Use a representation of salt from The Ritual Deck, take a salt bath, use a salt lamp, or place a bowl of salt in your space. 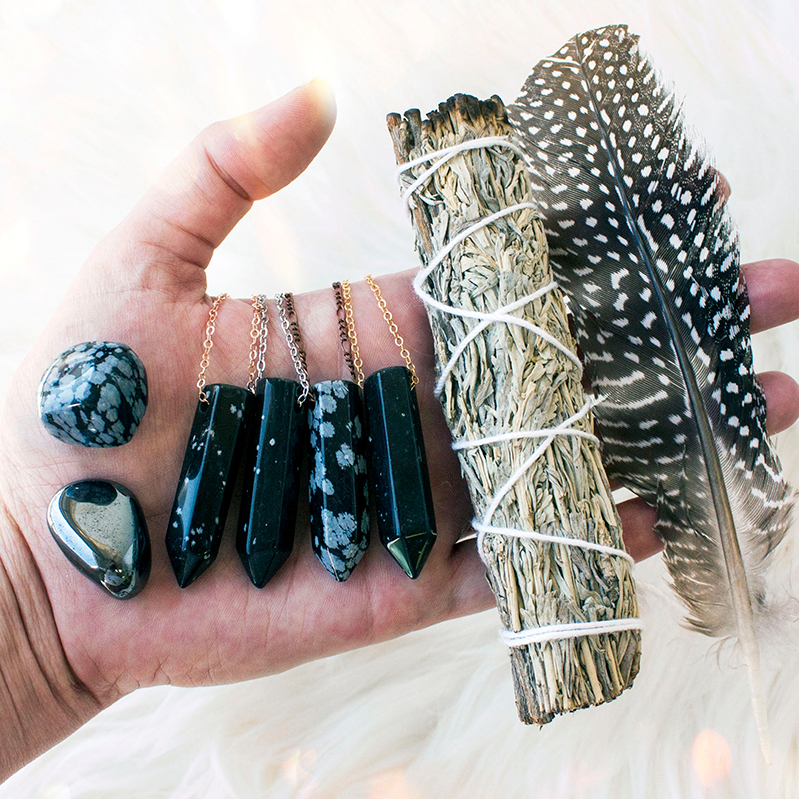 Black tourmaline, a dark stone for protecting and cleansing, is your go-to for cleansing negative energy. Try meditating with black tourmaline, visualizing all of the negative energy being absorbed into the stone. All-purpose quartz, the ultimate balancer, is another great crystal to have on hand for cleansing negative energy. Learn more about the magical properties and benefits of clear quartz here and customize your own quartz crystal point necklace here. Labradorite is also available to help you cleanse your aura. If your aura is weak, has tears, or holes in it labradorite can help. Keep your aura squeaky clean by meditating with a piece of labradorite or going around your entire body with a piece of it in your hand. 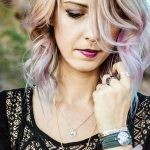 Shop labradorite jewelry here. Sage, palo santo, rosemary, and cedar can all help you cleanse negative energy. Burn them over yourself or in your space to cleanse, purify, and release. Sage and palo santo come from very specific cultures and are becoming endangered, so I recommend checking out rosemary or cedar. Your third eye chakra is the center of your intuition. It’s associated with the color purple, so try burning purple candles or connecting with the color in other ways like wearing it or including it in your space. Amethyst is a classic stone for your third eye chakra. It’s like a cool bath for your intuitive center, gently opening and awakening it to deepen your connection. 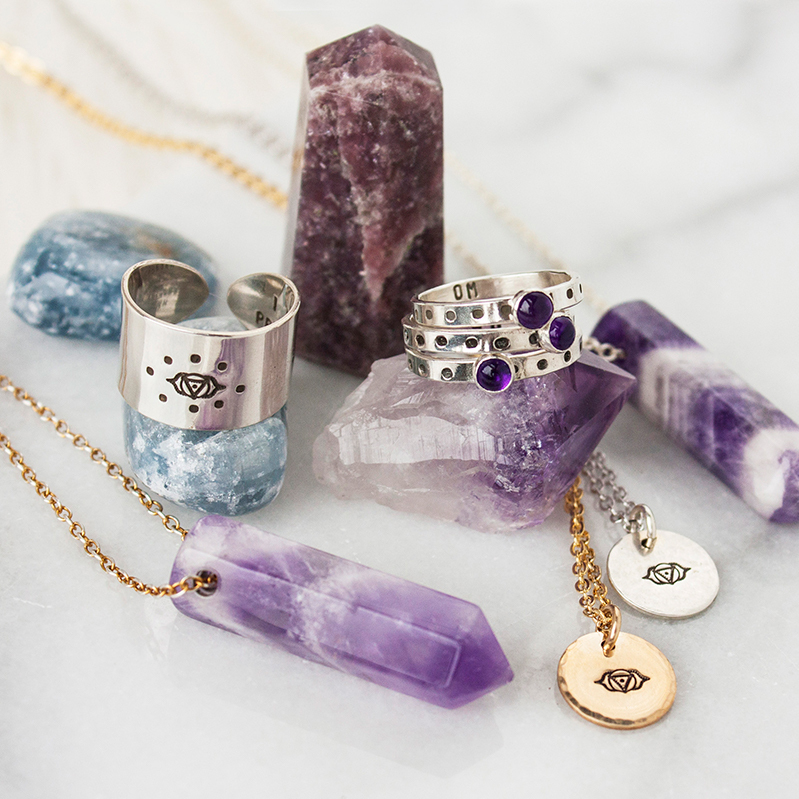 Shop amethyst jewelry here. Labradorite connects strongly to your third eye, making it ideal for honing your intuitive abilities. It can also help you connect with spirit guides and angels, and open the doors to the other side by helping you with astral travel. A multi-purpose stone for your intuition and psychic abilities, indeed! Shop our line of powerful labradorite jewelry here and learn more about the different uses for labradorite in this blog, 10 Uses for Labradorite. Experiment with mugwort, lavender, juniper, and bilberry to open your center of intuition. Work with representations of the moon in all her phases to connect with the lunar, divine feminine energy of the moon. 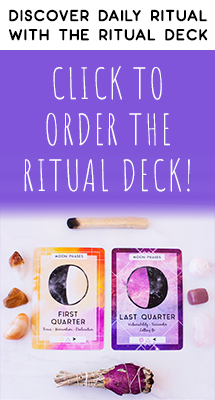 Shop The Ritual Deck, complete with moon phase cards, here. The Triple Goddess is also here to connect you with the moon and its cycles, as well as the mother/maiden/crone cycle of life. Shop the triple goddess line here. 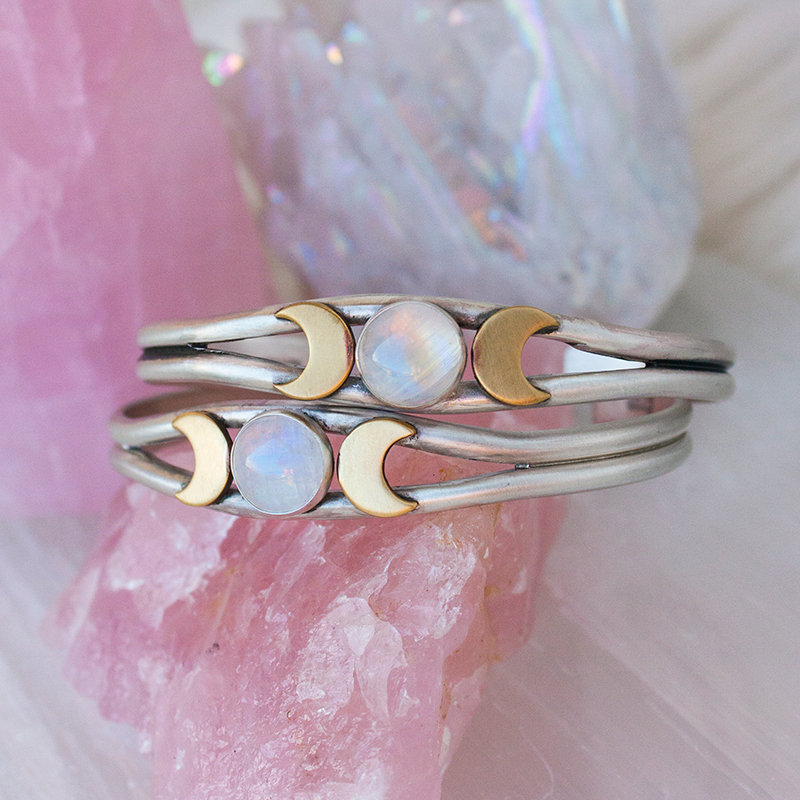 Moonstone, just like the name implies, is your crystal ally for connecting with the moon. It’s a dreamy goddess stone that channels the energy of mama moon in the sky into your energy field. 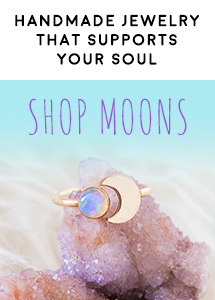 Click to shop moonstone jewelry. Selenite received its name from the Greek goddess of the moon, Selene. Selenite offers the water element, connecting you to emotions, intuition, your highest self, and of course, the moon. Mugwort is your go-to to harness the intuitive and psychic power of the moon. 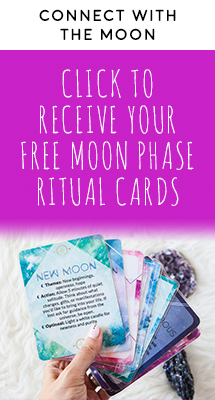 Burn it in your space to connect with the moon’s energy and your own inner Selene. The Earth element, represented as an upside-down triangle with a line across the bottom, and the Water element, represented as an upside-down triangle with no line, are both beautiful representations of the divine feminine, womb healing, and receiving. Work with the representations of these elements in The Ritual Deck. The triple goddess symbol that I mentioned above, shown by two crescent moons with one full moon between them, is another beautiful symbol of the divine feminine. Besides the phases of the moon, it also represents that phases of womanhood we cycle through: maiden, mother, and crone. Rainbow moonstone is here to connect you to your inner goddess and divine feminine energy. 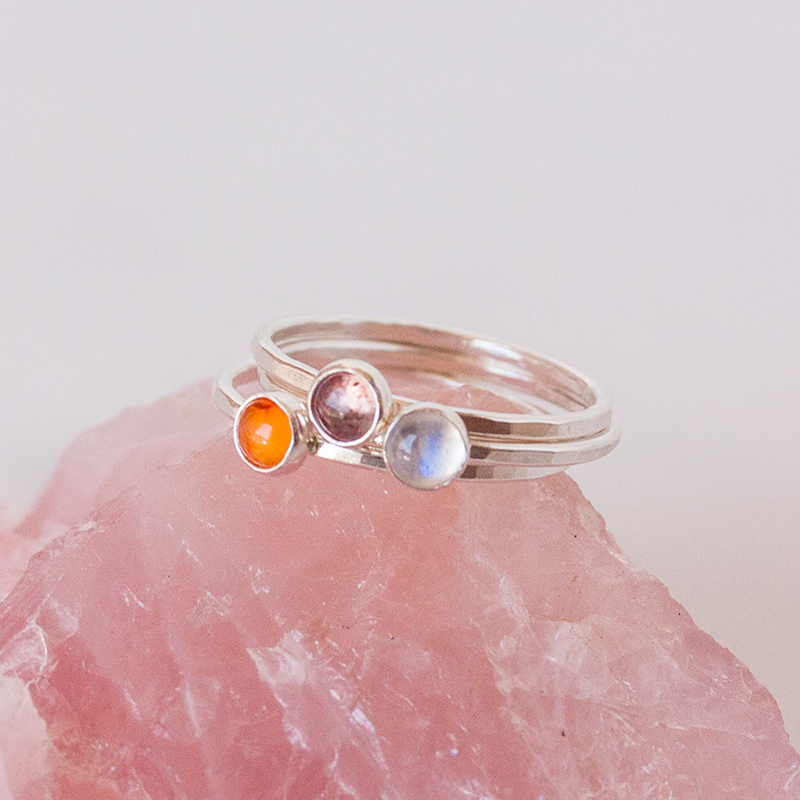 Shop the rainbow moonstone crescent moon ring here. Strawberry quartz can also connect you to feminine energy as a gentle, loving stone here to fill you with the healing energy of love and open your heart center to give and receive love unconditionally. Hibiscus, the flower associated with the Hawaiian goddess Pele, connects you with Pele’s fiery, passionate, and yet nurturing energy. The lotus, whose petals represent the yoni, can connect you with your feminine energy and feminine center, the space of creation within you. I hope you find this guide helpful for quickly finding tools to help you. Learn rituals for many of these tools with The Ritual Deck. 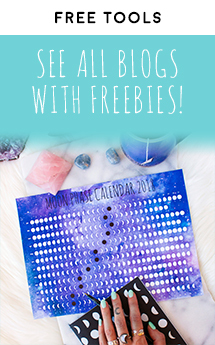 Click below to get yours!